The time has come here is our first ever challenge!!!! 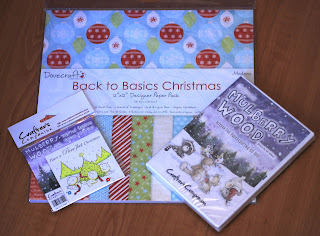 Thats a 12 x 12 paper pack from Dovecrafts Back to basics modern Christmas, The Mulberry Wood CD and a matching stamp from the Mulberry Wood collection. Here is some inspiration from the DT and 2 wonderful GDT ladies. 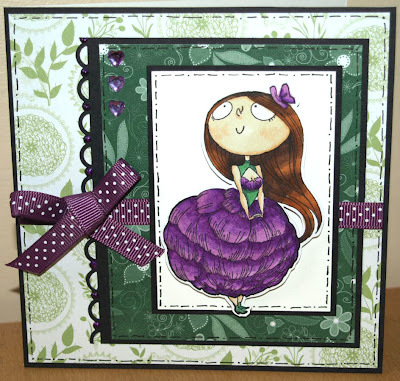 Using Kraftin' Kimmie's Peony stamp coloured with spectrum noir pens, Magestic purple liquid pearls, gem hearts, 5 x 5 card blank, a white ATC and the papers are Papermania's Capsule collection. Using the House Mouse project book and CD, DCWV metallic stack for the layering and the yummy ribbon will be in store very soon. Using- 6" square card blank, Eira stamp by CC Designs, coloured with Spectrum Noirs, DP & ribbon is from the Back To Basics, Modern set by Dovecraft, the sentiment is off the 'Christmas Wishes' stamp set from Humphrey's Corner & finished off with Star Dust Stickles. 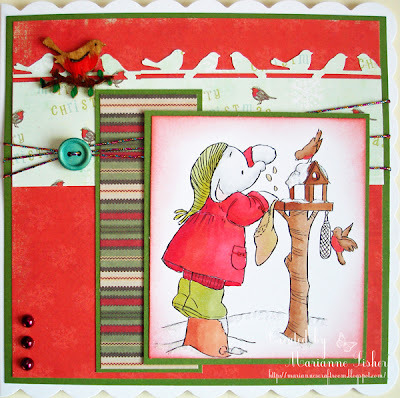 using Dovecraft 'Vintage Christmas' papers, Kraft Card Blank,, 5 x 5 Scalloped card Blanks, Mulberry Wood "Across the Miles" Stamp, Mini Bells & Liquid Snow. 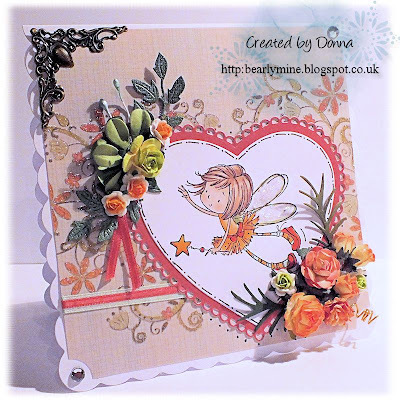 Fabulous creations by DT, very inspirational. Thanks for this 1st challenge. Wow, these are all gorgeous creations. 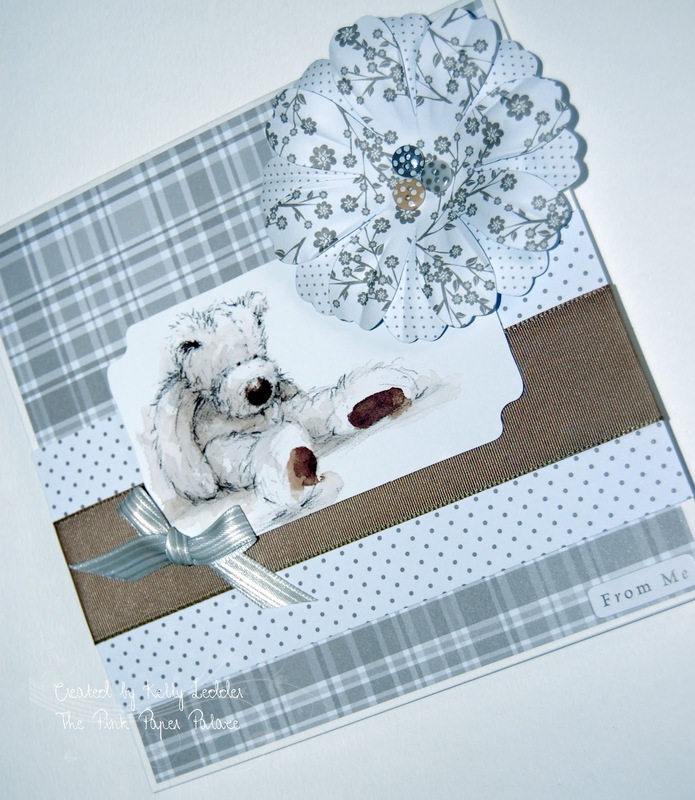 Gorgeous creations and good luck with the new blog! Beautiful DT inspiration and good luck with the new challenges! Good Luck with the challenge blog! Awesome!! Best wishes for your new challenge blog. I am delighted I came across your blog this evening. Everyone with the design team did an amazing job!! Fabulous cards DT and best of luck with your new challenge blog!! Awesome inspiration from the DT!!! So delighted I found your blog, I am now your newest follower! Hi, I write down the dates when a challenge closes and when the winner will be announced, (I think I have OCD , hehe! )I didn't see it written here , hopefully I didn't miss it! lol... I was wondering when it will be closed and can you enter more than once?? OH and when will the winners be announced.... Thank you ! 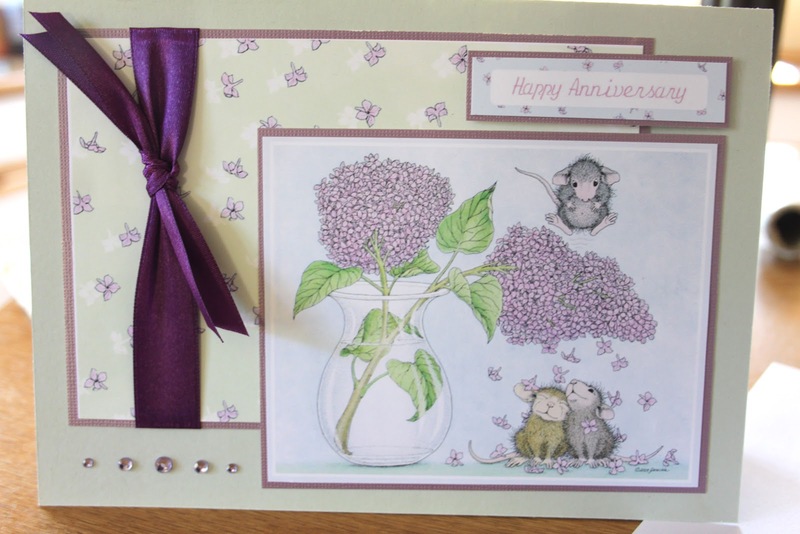 I just had to enter your very first challenge - only just though! V close to the wire. Love the DT creations. This is great challenge. All the cards participating are superb. The designs are so cute. From your designing i realize that for the attraction of people creative designs are also must for the plastic card printing. I appreciate your nice work.